Do you want to close the day fun with family or friends while enjoying a delicious bite, but you do not want to go or hoist to eat out in the handsome suit to work itself? In catering Mia can order one or more types of salads and bring, then you can enjoy delicious home casual. We also take care of your cold buffet or a bowl of snacks with drinks. If you have no room itself, you can also enjoy our island while relaxing. The price for the catering on request. If you have other needs besides our offer, then we can discuss that with you. Call us or ask your question via the mail. 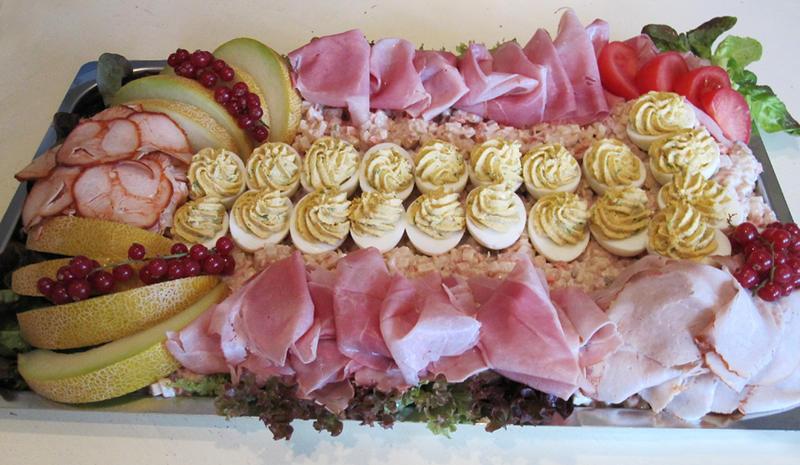 8 different types of, include a stuffed egg, roll of smoked meat, paling of zalm.